Will a loft conversion really add value? 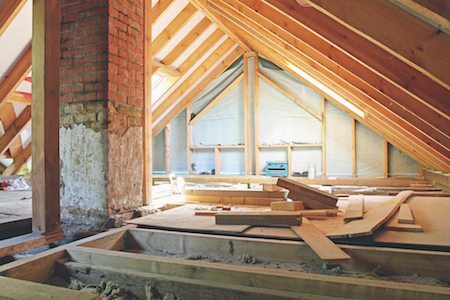 Home » Home Improvements » Will a loft conversion really add value? Regularly cited among the top ten ways to add value to your home, a loft conversion could be an incredibly cost effective of increasing the square footage and the resale value of your house. 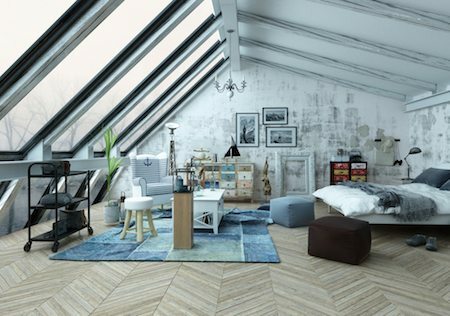 Read on to find out more about the potential gains you could make by converting your loft into a modern and useable space. Whether you can actually implement a loft conversion in your home largely depends on the pitch and shape of your existing roof; some will discount themselves automatically, and others are far easier—and thereby cheaper—to convert. The main criteria are the amount of useable load bearing walls to support the new structure. For a professional assessment, seek advice from a builder, architect, or specialist loft conversion company. I have a roof with a gable end wall: This kind of roof generally works well with a loft conversion. Gable ends and internal walls have a greater capacity to support any purlins or new beams that might be required for your loft conversion. I have an intersecting pitched roof: Without existing internal cross walls, these roof types can amount to a difficult loft conversion prospect. It is possible, however, with the addition of new walls or columns at inter-sectional points. I have a hipped roof: Again, these roof types can present for a challenging conversion unless internal load bearing cross walls are available. A quick way to check whether a loft conversion is possible in your home is to stand in the centre of your loft, between the ridge and the ceiling joists, and measure the headroom. Ideally, if you have from 8ft of space, a loft conversion should be possible, although you can get away with it from as low as 7ft. In order to determine if your loft is a serious contender for a conversion, consult a builder or loft conversion specialist. Once you have determined the suitability, you should appoint an architect or building surveyor, who will prepare drawings and plans for you. Alternatively, there are dozens of specialist loft conversion companies out there who can see you through the process from start to finish: do your research on the internet, and talk to anyone you know who has done a loft conversion in their own home to get advice and recommendations. Compare quotes and packages, and ensure you’re getting the right price to ensure your loft conversion will pay for itself and add value to your home. A loft conversion is a big job that takes place right in the heart of your home, unlike a garage conversion which can be one step removed. You need to have builders and technicians who you can trust and whom you won’t mind having around for a while! If you can’t find a company that appeals to you, many experienced builders will have the skill and knowledge to execute a loft conversion, and could offer a competitive quote and a similar package to any company. As long as your extension has minimal external impact, you shouldn’t need to acquire planning permission for your loft conversion. Many extensions will fall under the category of Permitted Development Rights. If you simply need to build up your side wall to the height of the preexisting ridge level (a ‘hip-to-gable’ conversion), then you won’t need to gain planning permission for your loft conversion. Planning permission is required should your changes significantly affect the externals of your property. This would mainly come in the form of roof height: if you are adding a dormer window for your loft conversion, and that additional dormer is higher than the highest point of your existing roof, then you will need to submit for planning permission. You will also need to ensure your conversion complies with building regulations, and double check on whether you need to alert your neighbours to the extension under the Party Wall Act. If you’re a leaseholder, you should also check if you’re obliged to gain permission from the freeholder or landlord. Although you should be able to remain living in your property throughout the process of your loft conversion, there will be builders making changes within the house itself, and so this does come with some necessary amount of hassle: be it a reduction in your privacy; multiple people traipsing up your stairs several times a day; or needing to be in the house for work to happen. Most loft conversion companies, however, are very sensitive to the potential hassle work may cause to their clients. A loft conversion offers you a fantastic way to add space, and value, to your home without the considerable expense of digging down into the basement. If you’re looking to add value to your home by converting a loft, transform it into a flexible, universal living space. Think about the areas in which your home is currently lacking: if your family home is cramped, consider it an extra bedroom. If you lack a dedicated, large lounge, consider turning it into a den or extra living room—for teenagers, or for larger family gatherings. If you’re looking for a little ‘wow factor’ in your property, you could kit it out as a gym or a study. Pick a plan that’s right for the shape of the room. With loft conversion design, you’ll mainly be thinking of clever ways to avoid, or make use of, those sloped ceilings. For a universal living space, you could use the limited space under the eaves as low seating. For a bedroom, it could be home to some nifty storage solutions. If you’re thinking of adding a bathroom in your loft conversion, you’ll need to think carefully about the extra demands this will place on your existing water supply. A guest bedroom and en-suite bathroom in your loft conversion could be a real attraction for prospective buyers, but the plumbing of a bathroom does require extra thought. It’s often advisable to remove a traditional tank and install an unvented water system instead, which would add to the costs of your loft conversion renovations. Creating a light and open loft conversion could really increase the resale value of your property. You can really brighten up the space with light wall colours, open plan design, and the addition of a dormer window to increase the natural light in the room. Think creatively: there are even dormer windows on the market that transform into a balcony. A statement feature like this could add serious value to your home. With tasteful decoration, thoughtful design, and a universal feel, you can easily make your loft conversion pay for itself. 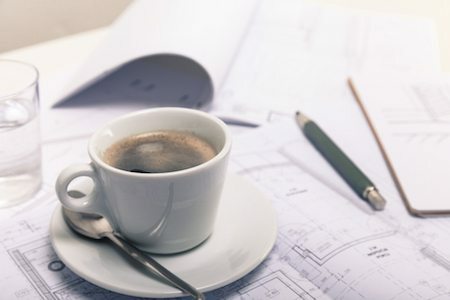 There’s the hassle that it could cause throughout construction, alongside any time and money spent on the planning permissions, building regulations, and any potential surveys required for your renovations. Have you thought about access to your brand new top floor? If you don’t already have stairs leading up to your loft, this can prove a bit of a difficulty. There are certain regulations to comply with, such as a minimum of two metres head clearance both above and below the stairs. Plumbing could also require more thought, if you’re dealing with an older, traditional system. You may also need to update, or replace, the insulation in your loft. 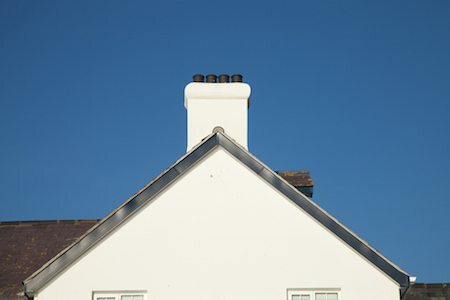 Building regulations are strict on this aspect of home extensions, and a failure to comply could result in certification for the work not being granted. For insulation in your new loft conversion, you need to ensure that standards are met, and energy saving measures are maximised. How much value does it add to my home? A loft conversion is often cited in surveys as the best way to add value to your home. Recent research carried out by the Nationwide Building Society has stated that a loft conversion could add up to 20% to the value of your home. If you’re looking at a house valued at £200,000, that’s an increase of up to £40,000. If you can afford to face the hassle and the costs, there is no better way to add space, and value, to your home.